If you thought John Sergeant suddenly withdrew from BBC’s Strictly Come Dancing today because he was stung by the judges’ criticism, think again – he pulled out so he can travel on a P & O cruise next week. The 64-year-old political broadcaster, whose two left feet earned him the wrath of the dancing experts, but endeared him to the voting public, will be sailing on Oceana from Barbados on November 28. 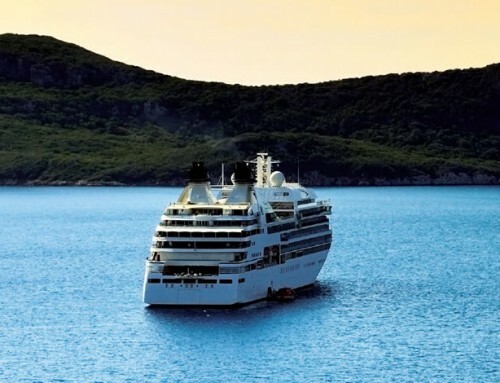 The 15-night cruise transits the Panama Canal and finishes on the Pacific coast in Acapulco. P&O Cruises head of brand marketing, Philip Price, said: “We are delighted to have John travelling with us and look forward to his after-dinner speech. “John is sure to entertain our passengers with his tales. No doubt he will also reflect on his time on the Strictly dance floor and maybe even give a few tips on perfecting the tango.